It's the Chase figure to the Super Mario Selection Furuta Figure Collection! This figure is packaged in a capsule, along with a product sheet detailing the other figures in the collection as well as assembly instructions for the figure. 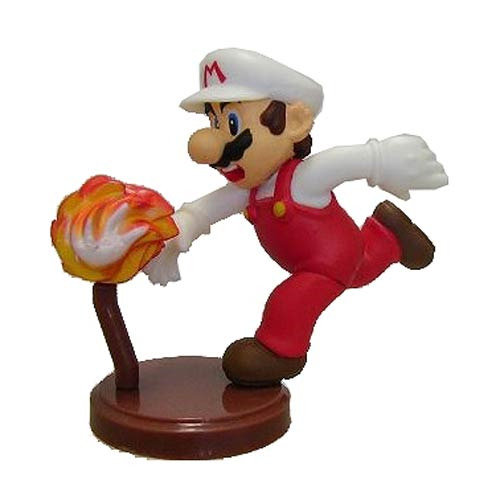 This Super Mario Selection Furuta Fire Mario Chase Figure features Mario powered up with the fire flower and blasting a fireball at an enemy. Chase figure measures roughly 2 1/2-inches tall. Ages 13 and up.